Engineers in Action (EIA) recently announced the expansion of its programs to include new opportunities for non-technical volunteers to improve the lives of people living in impoverished communities in Bolivia and Ecuador. Summer 2017 volunteer trip opportunities can be found on their website at engineersinaction.org/volunteer-opportunities. 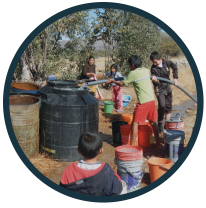 The organization was originally founded to accommodate partnerships between engineering organizations seeking international project opportunities and local communities in Latin America. 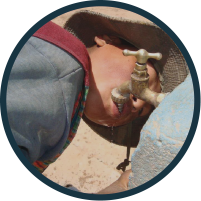 EIA maintains offices in Ecuador and Bolivia staffed by local engineers and project managers, which allows the nonprofit to visit project sites regularly and maintain key relationships with community leaders. “We’re the bridge between the US-based volunteers who want to give their time and expertise and the rural communities who desperately need assistance to gain access to things we take for granted like clean water and proper sanitation systems,” said Rod Beadle, Executive Director of EIA. The expanded volunteer programs will allow the organization to invite a broader range of globally-minded supporters to join the organization on travel teams. The organization’s change is two-fold, with an additional focus on the volunteer team members. To apply to volunteer with Engineers in Action, click here. To see a list of volunteer opportunities with approximate cost and potential dates, click here.